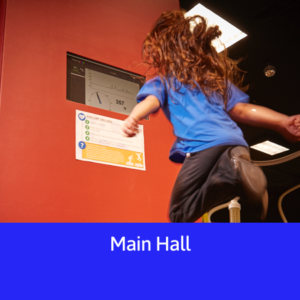 Our ever-changing array of exhibits features something for everyone! Explore science topics including astronomy, mechanics, optics, water quality, and nanotechnology. Try turning a giant Archimedes Screw, examining meteorites, and following balls on their twisting, turning paths through the Recyclotron. We're introducing new exhibits all the time, so visit us often to see what's new! 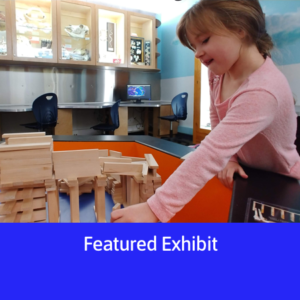 Our ever-changing array of exhibits features something for everyone! 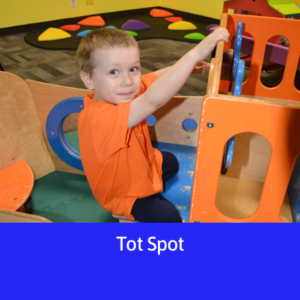 Our tot spot section for the youngest scientists has hands-on activities for creative play. Discover our newest exhibits in this feature spotlight!